After months of searching, you finally found the perfect car or truck. The only problem is that it's expensive. It's too bad you can't afford to buy that new vehicle. Or can you? Why buy a new car, truck or van when you can lease the newest model for a low monthly rate! With automotive leasing you can get a better car with the latest features through leasing. You can drive a safer and more prestigious leased vehicle than you ever thought possible! It's not as expensive as you think either. If you educate yourself on the right strategies then you can get a great deal on the car or truck of your dreams. Read on to learn how you can get the cheapest car leases for company vehicles or personal use in America or Great Britain. Leasing involves paying a deposit and a monthly fee for a brand new car. You don't own the car but it is yours to drive for a specific number of years. Most leases last between two and four years. You could also choose an option that allows you to lease-to-own. That means you start off leasing the vehicle but have the option to buy it before the lease ends. Make sure you are aware of the common mileage restrictions per year for leased cars in the UK or US. If you drive above that mile limit, you have to pay a steep fee per mile. You may be responsible for damage done to your vehicle or tune-ups required. The type of vehicle you choose to lease depends on the necessary function it will serve. It matters whether you are using it for work or personal transportation. The car being leased should also depend on your budget. Is your new vehicle going to be for personal use, business or a mix of both? 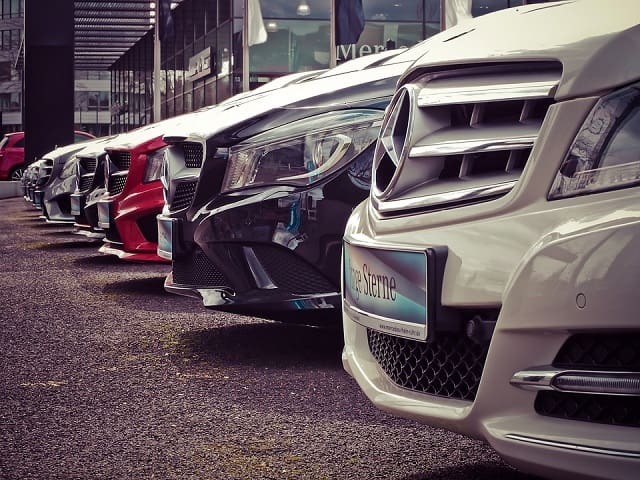 The reason you are leasing a new vehicle makes a big difference. If the car or truck is for manual labour work then you might need a van, pickup truck or SUV. You will need room for tools, materials, equipment and storage. If it's for an affordable fleet and efficiency is the top concern then compact cars or hybrids are the way to go. A Kia Picanto is the cheapest compact car option and a Prius Hatchback is a cheap hybrid choice. A Nissan Juke is a low cost SUV. Luxury cars and sports cars are great for sales and consulting jobs. They make a big first impression and could even generate major revenue. Expenses for company vehicles may be eligible to get deducted as a work expense. Speak to a tax professional to determine whether these expenses can become deductions. If your leased vehicle is going to be for personal use then determine how you will be using it. Do you have long commutes daily? Do you have a lot of children or other family members that need transportation? Are there any restrictions when it comes to entering or exiting the vehicle? Find the right vehicle that fits your personality but still has a function. It should look good but be a practical choice as well. Vehicles for both personal and business use should be versatile and functional. An SUV, pickup truck or full-size sedan are smart options for mixed use in North America or the European Union. The deposit and monthly fees are pretty obvious considerations for most people. Not everyone thinks about the maintenance (car washes, tune-ups, detailing, repairs) and fuel costs. Maintenance costs are low for leased vehicles because they are only for a few years. The biggest maintenance costs will go on to the new owner after your lease has ended. Some cars have much higher maintenance costs associated with them. A Mercedes (especially outside of Europe) will cost more when it comes to tune-ups and replacement parts. An oil change for a Porsche (especially outside of the EU) is more expensive than an oil change for a Kia. Fuel costs are another consideration that not everyone thinks about. Hybrids and compact cars get excellent mileage and need the cheapest fuel. Sports cars, luxury vehicles and trucks get lower mileage and need expensive fuel. Don't forget to expect more fees associated with your lease. The main fees to prepare for include taxes and insurance. The more expensive your car or truck, the higher your taxes and insurance will be on average. If your driving record isn't perfect then your insurance rate could be an even bigger factor to keep in mind. Your budget will be way off if you forget these details. These will obviously vary depending on what country you live in. The leased models above are based on the lowest lease prices in the UK and some other European countries. As you can see, the cheapest lease options are compact cars with hatchback styles. They also save you more money by having excellent gas mileage. Insurance also tends to be lower on compact cars such as the ones listed above. Don't settle for buying a low-end new car or a mediocre used car when you can lease the best vehicle for less. Drive the car or truck that you've been dreaming of. It could change your life! It's important to do your research and find the cheapest car lease possible for work transportation or personal use. Follow the expert advice here on Bootstrap Business to enjoy more ways to save on your personal and business finances. I hope you enjoyed this blog post about how to get the lowest priced car leases for your company or personal vehicle use. Interested in more articles about reducing transportation costs?